Jeremy Wyatt to Collect Dynamo Belt April 5th? “Show me greatness!” shouted Mark Bland. Dynamo Pro’s Executive Director of Operations sat ringside Feb. 1 for the gauntlet battle royal to determine a championship mandatory challenger. Jeremy Wyatt (who entered at unlucky #1 in the field of 20) heard the message loud and clear. 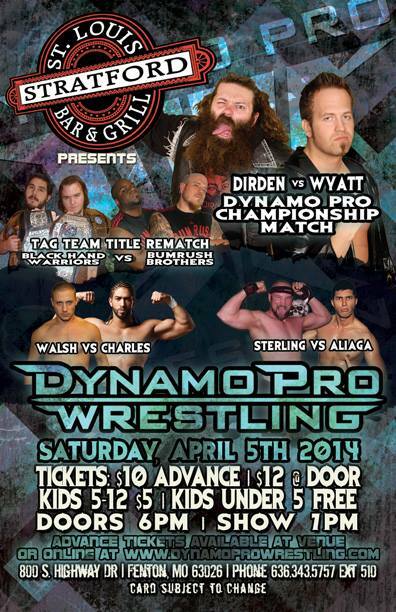 He outlasted them all and receives his Dynamo Pro Championship match April 5 at the Stratford Bar & Grill. Known as “The Belt Collector,” Wyatt has made a career out of doing just that. He held the NWA Central States Heavyweight and NWA Missouri Heavyweight titles at the same time, a rarity seen only twice before. 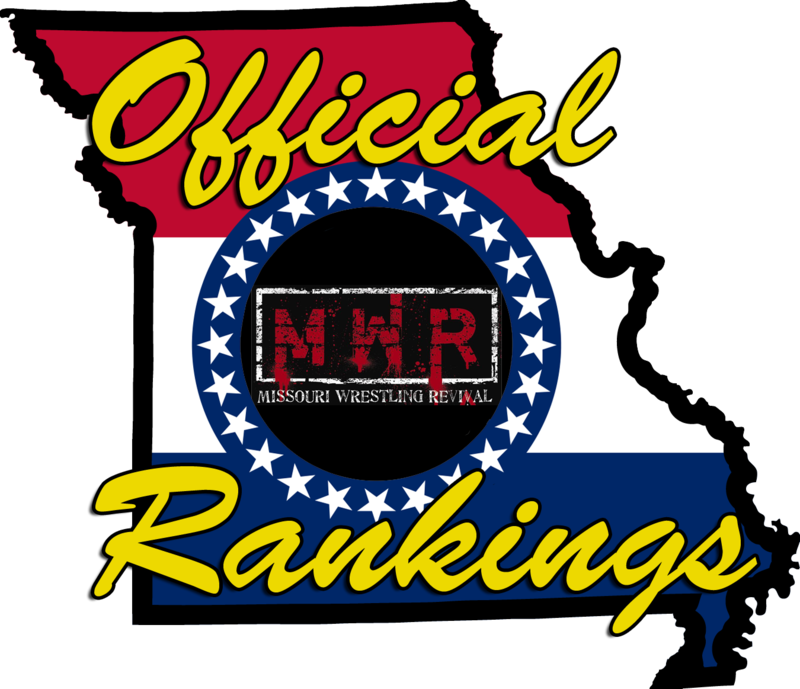 Jake Dirden is the most dominant champion in Missouri, in terms of title defenses. When “Dirdey” applies his Asiatic Spike sleeper hold, no one escapes. He’s a wild man, but he won’t take Wyatt lightly. The Black Hand Warriors (Michael Magnuson & Dave DeLorean) will defend their Dynamo Pro Tag Team Championship against the former and first champions, The Bum Rush Brothers (Shorty Biggs & Outtkast). Outtkast was to fight Jake Dirden for the big title on March 1st. However, freezing rain forced a cancellation. Outtkast is not happy that he may have to wait through several more cards to get his deserved shot. Ripping the tag title from the BHW would be a welcome consolation. Also, Bradley Charles meets Dan Walsh, Elvis Aliaga will try to out-“fit” Mark Sterling, and a three-way tag team attraction will pit Gamble & Webb against Jake Parnell & Andino Giovanni as well as Brandon Espinosa & Ace Hawkins. Buy tickets in advance at BrownPaperTickets.com. Next PostNext Will Brandon Espinosa Resurrect The Elitism? Can It Be Stopped?